Scientific Activities / Activités scientifiques. 2D-Xenes (where X = Si, Ge, Sn ...) are a class of two-dimensional materials from the group IVA that possess electronic properties different from those of the corresponding 3D bulk. Calculations have shown that silicene and germanene, i.e. Si or Ge atoms arranged in a honeycomb structure, could possibly exist and display electronic, transport or magnetic properties similar to graphene’s one. With the prospect of device engineering, silicene and germanene present a better compatibility with silicon-based microelectronics. Moreover, the spin-orbit coupling leads to the opening of a small band gap (a few meV) for these materials. However, contrary to graphene, there is no layered material from which 2D-Xenes could be exfoliated. 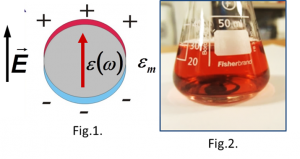 Thus, intensive research has been made in order to synthesize these 2D materials while trying to maintain their intrinsic properties. 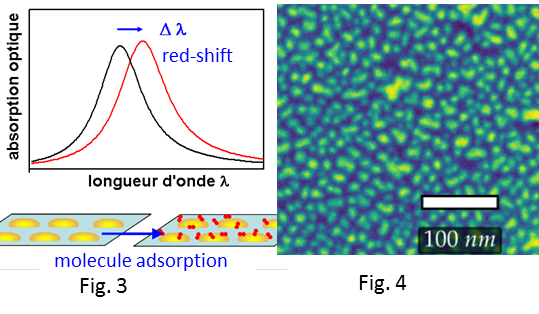 At the Institute of NanoSciences of Paris, we study the structure and growth mechanisms of silicene and germanene obtained by material evaporation under UHV on various substrates (Ag, Al, layered materials). 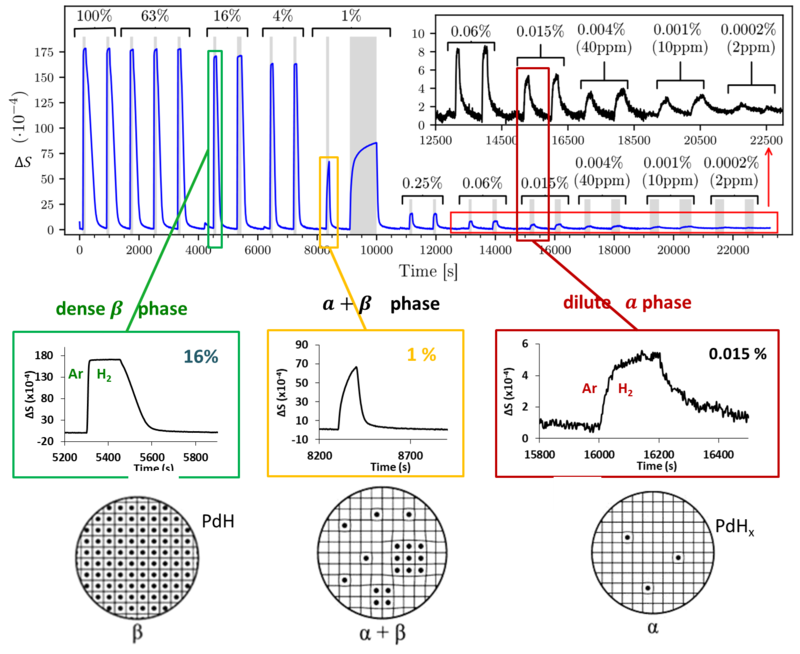 We use in-situ scanning tunneling microscopy (STM), grazing incidence X-ray diffraction (GIXD) and optical investigations, together with density functional theory (DFT) calculations (in collaboration). Theoretical calculations have shown that the optical properties of free-standing silicene are similar to the ones of graphene, and are dominated by the presence of the Dirac cone at the Fermi level, around the K point, and by interband transitions around the M point. 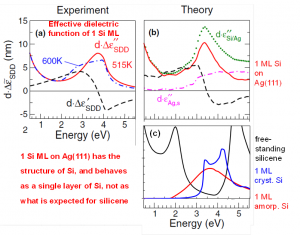 However, the Si monolayers when grown on Ag(110) or Ag(111) are in strong interaction with the sustrate, and their electronic properties are completely modified with respect to what is expected for the free-standing silicene. 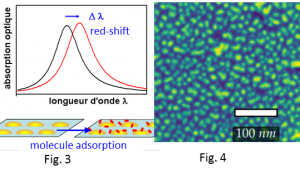 Consequently, the optical response is also different, and appears to be rather similar to amorphous or disordered silicon, which indicates that the Si layers are sp3 hybridized and not sp2. Fig.1 shows the Surface Differential Reflectance Spectrum, measured for 0.5 and 1 Si ML grown on Ag(111), defined by DR= (RSi-RAg)/RAg, where RAg and RSi are the reflectances of the pristine Ag surface and the same surface covered by Si, respectively. 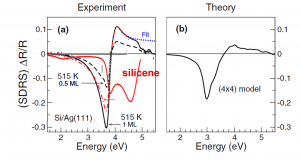 The spectra are completely different to what would be expected if the Si film has got the same optical response as free-standing silicene (red curve). The experiment is correctly reproduced by DFT calculation (right). 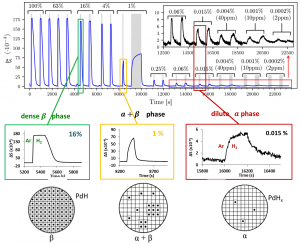 From these data, the effective dielectric function of the silicon layer can be isolated from the optical response of Ag, and is shown in Fig.2.a. 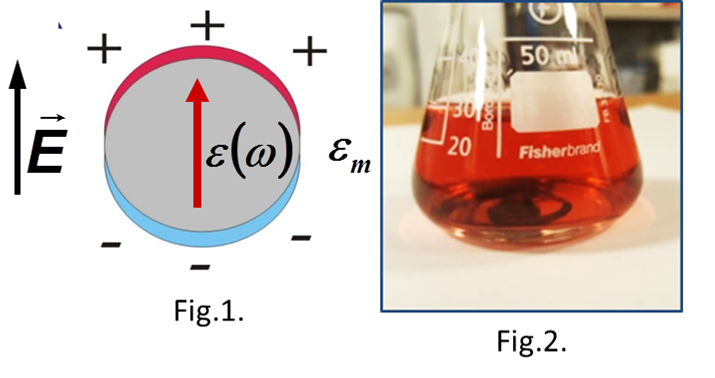 The imaginary part (red) corresponds to the optical absorption. It is very well reproduced by the DFT calculation (b). 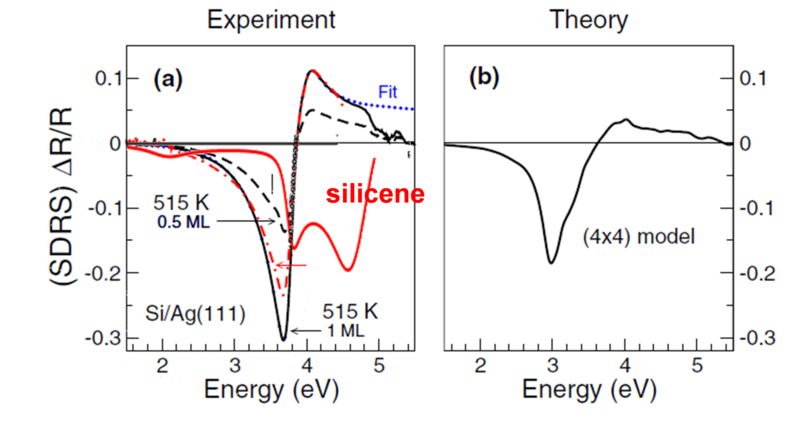 On the contrary, it is different from the dielectric function calculated for silicene (black curve in (c), and close to that of amorphous Si (red curve in (c)). Fig. 1 SDRS of Si/Ag(111) : (a) Experimental measurements at 515K for 0.5 ML (dashed black line) and 1.0 ML (solid black line) and at 600K for 1.0 ML (dot-dashed red line). (b) Computed spectrum for the (4 × 4) model (corresponding to 1.0 ML coverage). Fig. 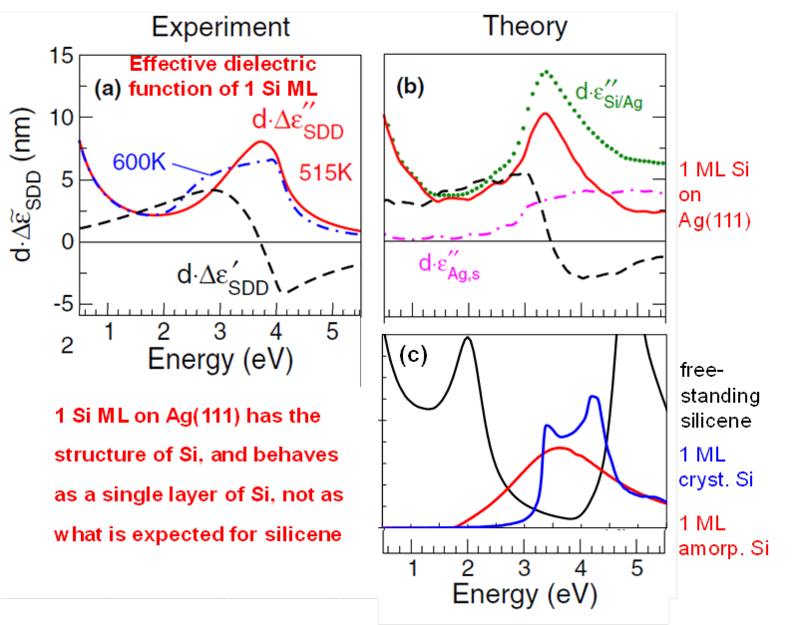 2 Surface dielectric difference (SDD) spectra of Si/Ag(111). (a) Experimental data at 515 and 600K (imaginary part only, blue dot-dashed line). (b) Computed SDD spectra for the 4 × 4 structure (solid red and black dashed curves). Also shown are the imaginary parts of the slab dielectric function for the clean (Ag : dot-dashed magenta line) and Si-covered surface (Si/Ag : green dots). (c). 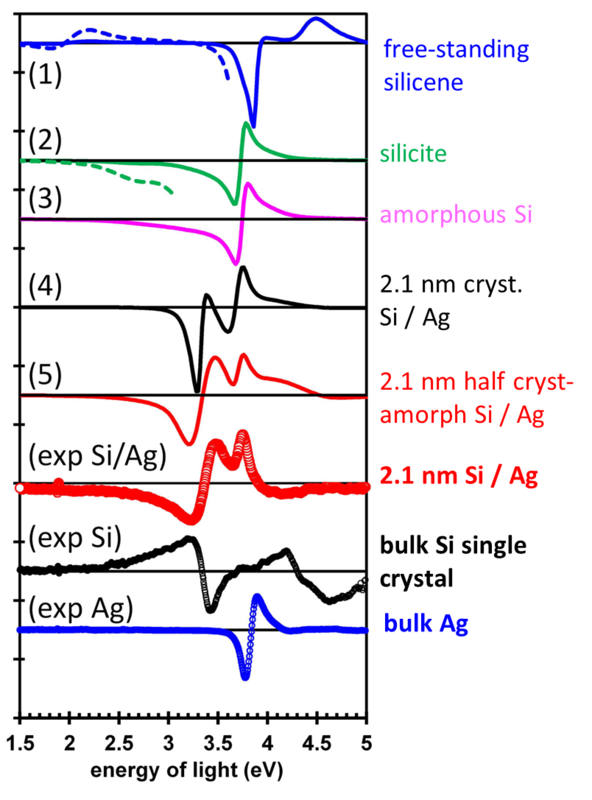 Imaginary part of the dielectric function of free-standing silicene, of 1 crystalline Si monolayer and of 1 amorphous Si monolayer. Optical measurements, combined with Auger electron spectroscopy and X-ray diffraction show that Si multilayers grown on Ag(111) have actually the bulk-Si (diamond-like) structure, and are covered by a thin layer of Ag which gives the well-known root(3)xroot(3) R30° reconstruction. Surface Differential Reflectance Spectroscopy and Thermo-Reflectance Spectroscopy (TRS) have both been used and showed that a film of 2.1 nm grown at high temperature on Ag(111) display optical properties intermediate between bulk crystalline and amorphous Si, which is typical of poorly crystallized diamond-like Si. Fig.3 shows the experimental TR spectrum for 2.1 nm Si / Ag (red). 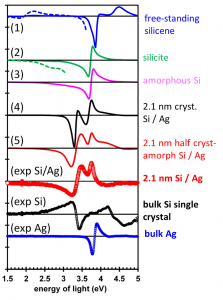 It displays transitions which are typical of the transitions measured on bulk crystalline Si and on Ag. Comparison with calculation shows that the spectrum cannot be reproduced by free-standing silicene (1) or by “silicite” (2). The features are reproduced correctly by bulk crystalline Si (4), and a mixture half amorphous (3), half crystalline Si (4) permits to reproduce almost perfectly the experimental (5). Fig. 3 Thermoreflectance spectra. Circles : experiments ; red : 2.1-nm Si/Ag ; black : bulk Si ; blue : bulk Ag. Continuous lines : calculations for different dielectric functions of the 2.1-nm silicon film on Ag. (1) : free-standing silicene ; (2) : “silicite” ; (3) : amorphous Si ; (4) : crystalline Si (2) ; (5) : half amorphous/crystalline Si. For spectra (1) and (2), the dashed lines are the spectra amplified by a factor of 7. The curves have been shifted vertically for a better visualization. See details in page : 3. Silicene thin films : are they silicene ?. Intrinsic optical response of Si(100) and Si(111) surfaces. Dissociative / non-dissociative adsorption mode of molecules (oxygen, ethylene, benzene...) on Si(100).